Now that my trip has come to an end, I’ll begin the daunting task of processing all of my photos! Stay tuned to my blog, as I’ll be sharing images almost daily over the next few months. There’s also a ton of shooting I’d like to do in my home area, so that’ll keep me busy as well. 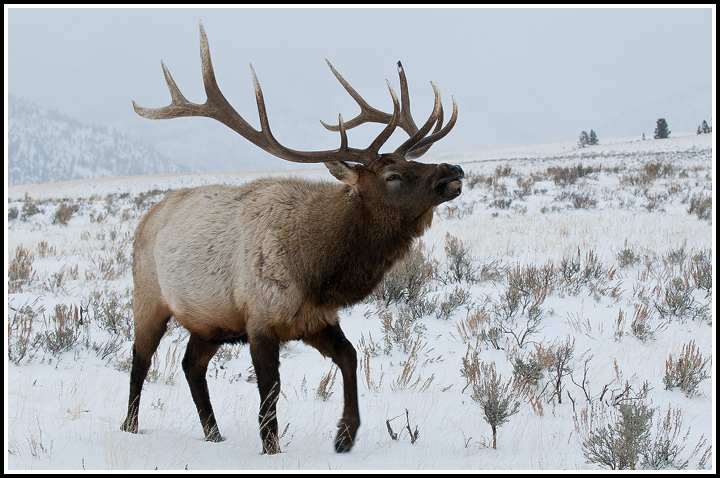 Here’s a Rocky Mountain Elk I photographed in the Lamar Valley of Yellowstone National Park. He was HUGE! Well, actually, I’m sure some of you have seen bigger. It was the biggest I have ever seen, though. I’d love to go back in a few years. I can’t think of a single place I’d rather be in the winter.